The mention of curry tends to conjure up images of such colorful places as India, Thailand, Indonesia and the Caribbean and spicy and flavorful dishes like Chicken Vindaloo, Curry Coconut Shrimp or Chicken Tikka Masala. Curry can be found in powder or paste form from Africa, the Caribbean, England, India, and all around Southeast Asia. “Curry” comes from the Tamil word “Kari” which means sauce. The sauce was originally a thin, soup-like spiced dressing served in Southern India alongside other stew-like marinades fro meat and vegetables. Curry is actually not a single spice but a blend of different spices like turmeric, garam masala, ginger, cumin, chilli and coriander but it can be made with many things. It’s one of the oldest spice mixes and it ranges from mild to hot, to various flavors and colors. Once known mostly as Indian food, it is now interchangeable with various kinds of savory cuisine enjoyed by many around the world. How is it that this fabulous spice blend adapted and found it’s way to so many varied lands? While the use of Curry probably originated in India, there is evidence of it being used as far back as 1700 BC in Mesopotamia. This evidence shows that Archaeological evidence dating to 2600 BCE from Mohenjo-daro suggests the use of mortar and pestle to pound spices including mustard, fennel, cumin, and tamarind pods with which they flavored food. Curry made its first voyages in the 16th and 17thCenturies spice trade, which took Gujarati and south Indian foods to Malaysia. From Malaysia, south Indians traveled to the spices islands of Indonesia. Although the spice trades did help spread curry throughout Southeast Asia and Europe, nothing has helped spread Indian food around the globe as effectively as the indentured servants of the British. During the Meiji era (1868-1912) the new Japanese rulers embraced Western culture after some two hundred years of isolation. This found many European merchants arriving to Japan including the British, who brought with them a wide range of new foods: bread, ice cream, hashed beef and curry. As curry traversed the globe, it melded with the local ingredients available to change the face of curry. In Indonesia, curries are made with Sumatran spices such as kaffir leaves and galangal (a relative of ginger). In Fiji and Thailand coconut milk (an island staple) was added, giving these curries a sweeter flavor and higher fat content. The Caribbean, where curries are called columbo, offered cloves, cinnamon roasted cumin, coriander and the ubiquitous scotch bonnet pepper giving these curries a piquant flavoring. At first, Japanese curries were made in the Anglo-Indian manner using flour and butter along with curry spices to make a roux.Later, through the marriage of the revolutionary Indian nationalist, Rash Behari Bose, to a Black Dragon Society member, Indian food as eaten by Indians was introduced to Japan. The Japanese, however prefer their own version of the Anglo-Indian curry. With its gravy like consistency and served over white rice, it has become a Japanese comfort food, making curry rice one of the most popular school lunches in the country. In India and neighboring countries, spice combinations, diets, and food habits vary from district to district, family to family, town to town and village to village. Northern curries tend to be milder in heat than those of the south. The most famous curries of the North are the Moghlai curries, which blend Indian cuisines with that of Central Asia. These are also the most popular curries to be found in America and Europe The South offer curries rich in spices as that is the area were they is widest variety. Southern curries are rarely found outside of India. Indonesia: Rendang is the most famous dish and is considered a “dry” curry, which means the sauce is simmered down to a minimum. Malaysia: Malaysian curries use curry powders rich in turmeric, coconut milk, shallots, ginger, shrimp paste, chillies, and garlic. Thailand: Curries include yellow curry, massaman curry, gold curry, green curry, red curry, panang, jungle curry, khao soi. Burma: Burmese chicken curry is a Punjabi-style chicken dish without tomatoes or peppers. Japanese curry: Invented in 1912 and uses onions, carrots and potatoes. Ethiopia: Wat is the Ethiopian version of an Indian curry and can be based on any vegetables or meat except pork. Besides being a tasty dish, Curry also has many health benefits. One of the main ingredients in Curry is turmeric. 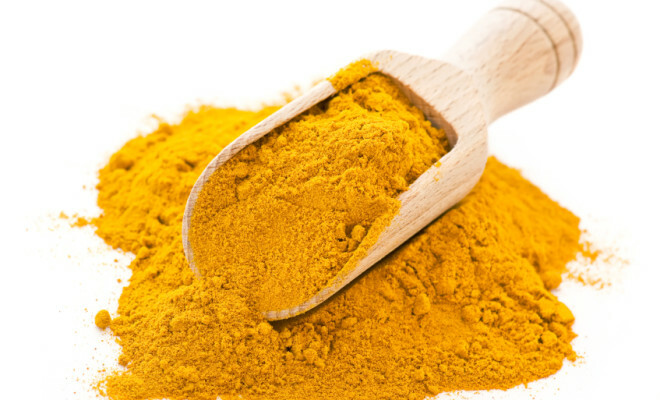 Turmeric is what gives curry its golden yellow color but it’s also what is partly responsible for some of the health benefits as a promising disease-preventive agent due to its anti-inflammatory ability. There are also several ongoing research studies and clinical trails that are in progress to help prevent or alleviate diseases like Arthritis, Alzheimer’s and Cancer. The studies to date was published by the respected ethnobotanist James A. Duke, Phd., in the October, 2007 issue of Alternative & Complementary Therapies, and summarized in the July, 2008, issue of the American Botanical Council publication HerbClip. According to www.drweil.com, “Turmeric contains more than two dozen anti-inflammatory compounds, including six different COX-2-inhibitors (the COX-2 enzyme promotes pain, swelling and inflammation; inhibitors selectively block that enzyme). 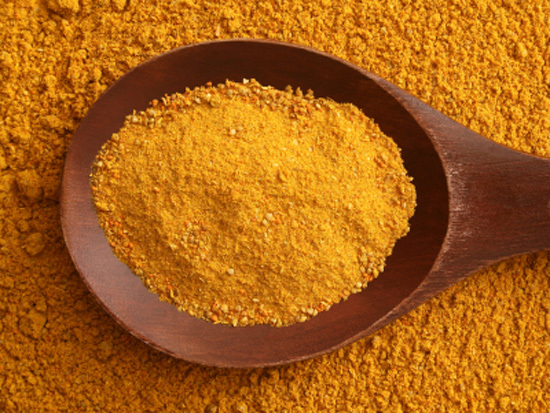 By itself, writes Duke, curcumin – the component in turmeric most often cited for its healthful effects – is a multifaceted anti-inflammatory agent, and studies of the efficacy of curcumin have demonstrated positive changes in arthritic symptoms. To make your delicious dishes you can use store bought Curry or make your own. If you would like to make your own you should make sure mix the spices in regular and limited proportions to avoid any one spice from taking over the mixture. First, assemble the desired spices and mix them in a blender or pepper mill. Sometimes they may need to be pounded, sifted or dried as well. When that is complete, store the remaining curry in an airtight container in a dark cool place so they don’t lose their aroma, taste and color over time. Lightly toast the caramom, coriander, and cumin seeds. Then grind them up in a coffee grinder. Now, in a jar add the remaining spices. Shake until components are thoroughly mixed. Here are three recipes to get you started. Remember, recipes are only a template for you to expand own. In the traditions of cooks worldwide feel free to experiment with them and make them your own. This curry powder blend can be used for meat, fish and vegetable dishes. Wash chicken under cold running water. aside.bIn a large skillet, heat Coconut milk over low heat for 5 minutes. Add Green Curry Paste and the tomatoes and continue cooking over low heat for 5 minutes. Add the remaining ingredients, stir well, cover and cook over low heat for 15 minutes. Grind all the ingredients into a paste with a mortar and pestle, or use a food processor. This paste will keep in the refrigerator for up to 1 month. Place vegetable oil and butter in skillet. Add Trinidadian Curry paste, onions, garlic, ginger tomatoes and lime juice, and cook for 30 minutes, stirring occasionally. This sauce should be very thick.